The kidney plays the major role in maintaining serum bicarbonate and acid-base balance. As kidney function declines, a decrease in serum bicarbonate level is common. It is associated with increased muscle wasting, development or worsening of bone disease, progression of chronic kidney disease (CKD),and increased mortality. 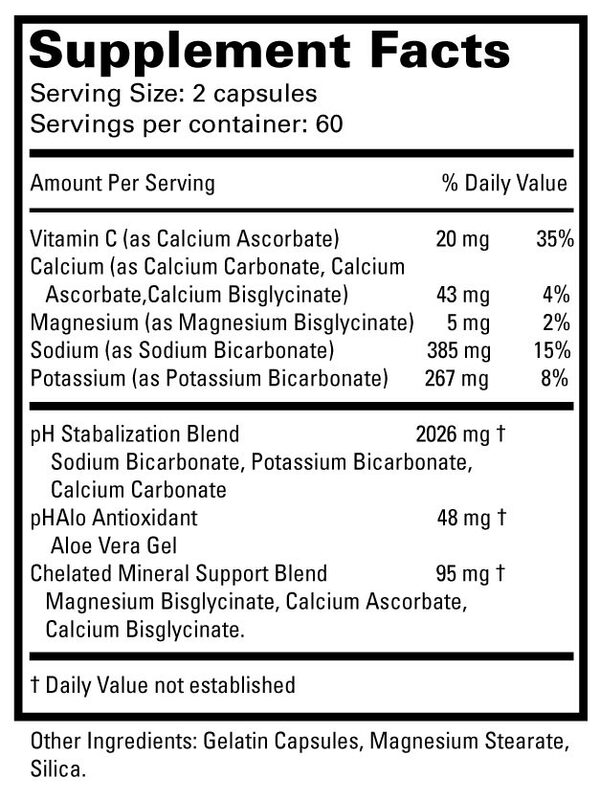 Administering base to individuals with bicarbonates has been recommended. American Journal of Kidney Diseases (AJKD) in a recent study, Dobre et al1 explored the association of serum bicarbonate level with the progression of CKD, development of cardiovascular events, and mortality in almost 4,000 patients with CKD in 2003-2008. The authors found that individuals with low sodium bicarbonate levels were more likely to manifest a 50% reduction in kidney function or end stage renal disease than those with higher bicarbonate levels. 1Dobre, M.,Yang,W.,Chen, J.et al. Association of serum bicarbonate with risk of renal and cardiovascular outcomes in CKD:A report from the Chronic Renal Insufficiency Cohort (CRIC) Study. pHAlo™ has the bicarbonates your body needs along with minerals and aloe vera to help your body replenish what it loses with age. Association of Serum Bicarbonate With Clinical Outcomes in CKD: Could an Increase in Serum Bicarbonate Be a Double-Edged Sword?